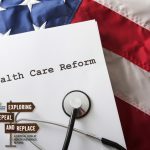 The American response to health reform has seemingly reached a “cooling off” period until the Supreme Court rules on the constitutionally of the individual mandate. This wait and see attitude is potentially very dangerous. The law requires most aspects to be implemented by 2014. 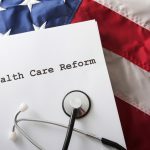 It is very difficult to imagine that Missouri and Kansas will be ready to implement key provisions of health reform when there is little open discussion taking place at the state level. If the Supreme Court rules that the law is constitutional, how are Missouri and Kansas going to implement insurance exchanges in a timely manner? My guess is that both states will be forced to accept the federal government coming into our states to run the insurance exchanges. Under that scenario, these same state politicians will then scream to the high heavens that the heavy hand of the federal government is to blame for any problems we have with implementing health insurance exchanges. Now is the time to plan, to discuss various alternatives of implementing the exchange with the general public, to develop a individualized plans that citizens in each of our two states can feel comfortable with…this seems so logical to me. Unfortunately…partisan politics seems to be more important than logic and good governance practices. It’s a shame we run our two state governments in this manner. Thankfully many states have chosen a different route and are using this time to plan and do research for implementing an insurance exchange. I sure wish that Missouri and Kansas legislative leaders would allow our two smart and dedicated insurance directors to be more proactive in the implementation of health insurance exchanges.